The world, today, is well versed with concepts of relativity, equality and co-existence. The principle behind these words, the philosophical thought and wisdom that gleams through them is called Anekanta [multiple nature of reality] and Syadvad [the relative nature of knowledge]. 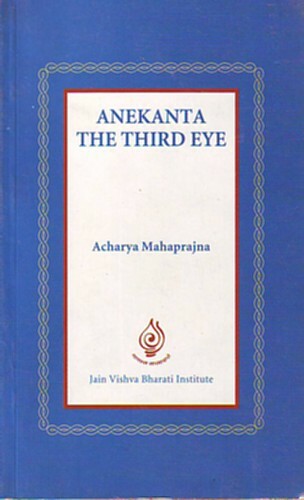 Anekanta is an eye. With the two physical eyes man is able to see the gross world] but is not able to see or understand the inner world. What is the other person or nation thinking? Where] why and in what state is he thinking? What is he doing? When is he doing what he is doing? How is he doing what he is doing? And in what state is he while saying what he is saying? Unless these factors are known, understood and evaluated, justice can neither be meted out nor can the changes that take place in the material world be understood. The seeing eye of Anekanta is the best philosophical process with which one can understand the modes or the changes, both gross and subtle, which occur in the material world. With this process, passions can be assuaged, conflicts can be resolved and the embers of rebellion can be appeased showing thus, the path to world peace.